Marathon #4. Let’s do this. Well, folks, I said I wouldn’t do it. In fact, I think I’ve shouted it from a rooftop a time or two, but I’m going back on my word. Yep. I’m running another marathon. Yes, I know I’ll complain. Yes, I know I’ll be sore. No, I don’t know why I put myself through this. STOP LOOKING AT ME THAT WAY. OK. So let’s get to the important part. 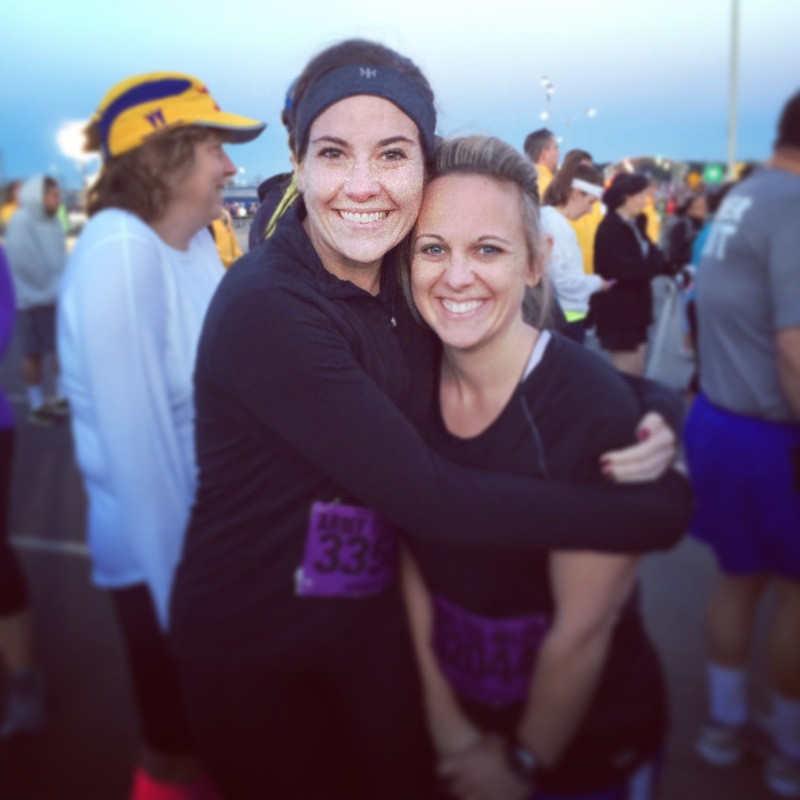 I’m running the BCS Marathon in College Station, TX on December 13 and I’m out of my mind. 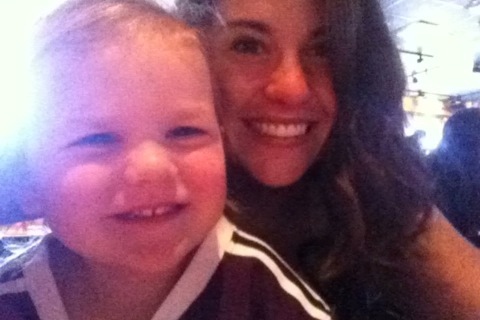 But more importantly, I’m raising money for Sophie and Madigan’s Playground. Second: I’m raising money because they are partnering with the Disney Princess Half-Marathon I’m running in February, but I’m using the full marathon in December to help. Let me explain: We’re going to do this similarly to when I raised money for Lauren (and if you would still like to donate to the Lauren E. Lewis ’09 Memorial Ring Endowment click here). The person closest to my finishing time without going over gets a $50 gift card from a place of their choosing (directly from me–this does not take money away from Sophie and Madigan). I will also probably take you to dinner. And give you high fives or hugs. Whichever you prefer. 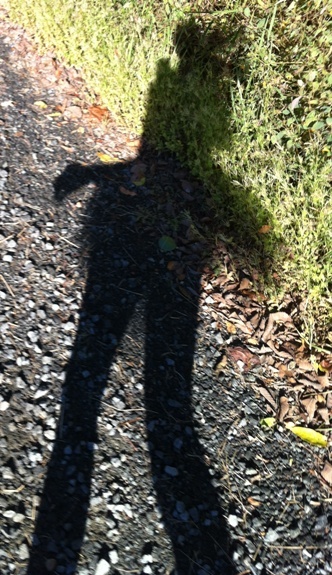 IF I raise $650 by October 19, I’ll do a cartwheel across the finish line of the marathon. Yes. You heard me right. This will be video taped. If I hit $1000, I may be talked into the Whip and Nay Nay. But let’s not get carried away just yet. My previous marathon times: 1) 4:31, 2) 4:28, 3) 5:19 <–I don’t want to talk about #3. Worst. Race. Ever. All you need to do is go here, donate online by selecting “Sponsor Me”, and in the “Note to the runner,”, write your guess(es) for my finish time(s). Now listen here, I can see the stats of how many people read my blog posts and if EVERY person reading this blog post RIGHT NOW donated just $10, I’d reach my goal in no time. So let’s CRUSH my $650 goal! Why not donate? 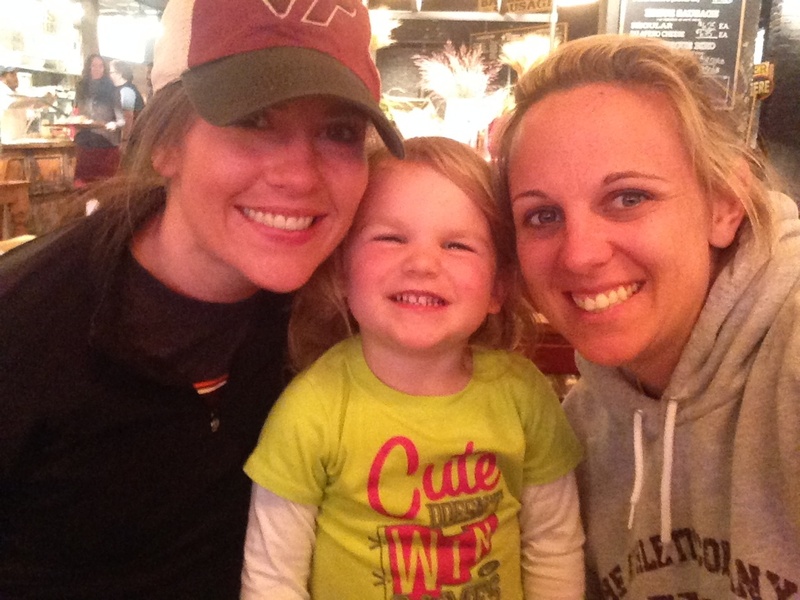 Why not skip one beverage at the bar tonight to help out Sophie and Madigan? Or bring your lunch one day instead of going out? Or skip the Starbucks just one morning to donate? $10 y’all, that’s all I’m asking. *A marathon is 26.2 miles. I’m slow. My average training times have been anywhere from 9-12:30 minutes/mile (crazy right?). Times are first-come, first-served. 4:55- Lesley & Kevin G.
5:05- Lesley & Kevin G.
So what are you waiting for? GET TO GUESSIN’. 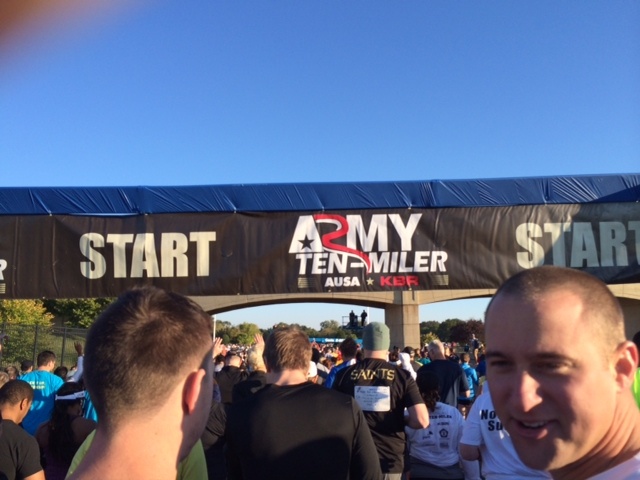 A few weeks ago, a couple of friends mentioned running the Army 10 Miler in Washington, DC. One of their friends wasn’t using her bib, so they offered it up to me. Do I ever turn down a race? Of course not. I arrived at their house on Saturday just in time to catch the Aggie game. 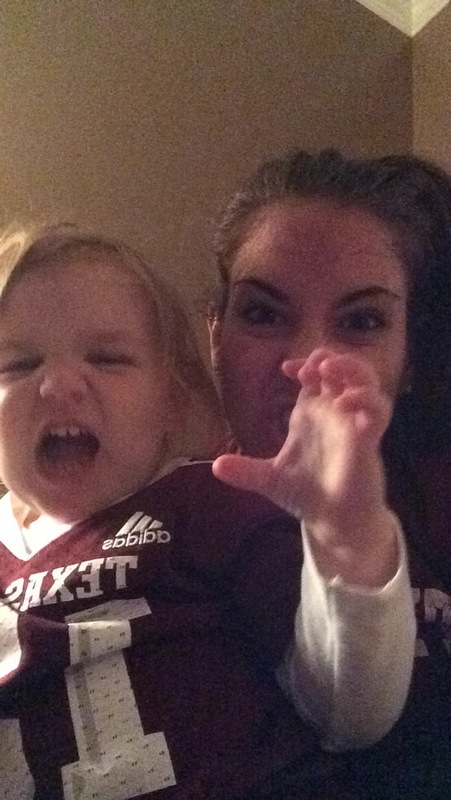 A&M forgot to tell their defense to play, so Erika (Lori and Eric’s three-year-old) and I got distracted. I think we were getting angry at our lack of defense. Erika always reminds me that we need to be quiet while Aggies are on offense. The next morning, we woke up at 4:30am. I was NOT a happy camper. 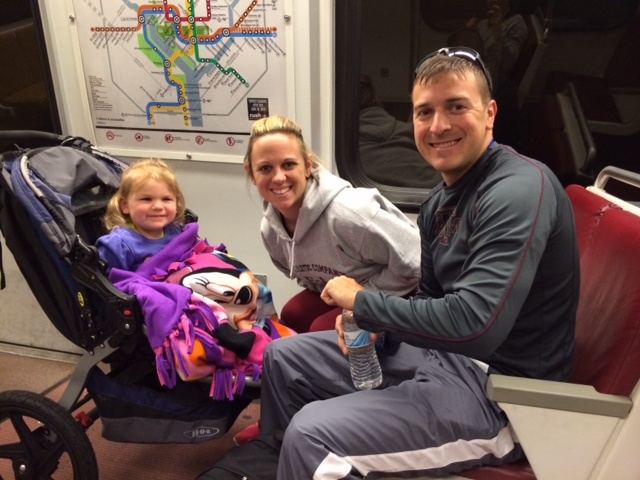 We hopped on the Metro and headed to the race! After waiting in the frigid Pentagon parking lot for two hours, I was ready to get moving. My goal was 1:40 so I took off real quick. 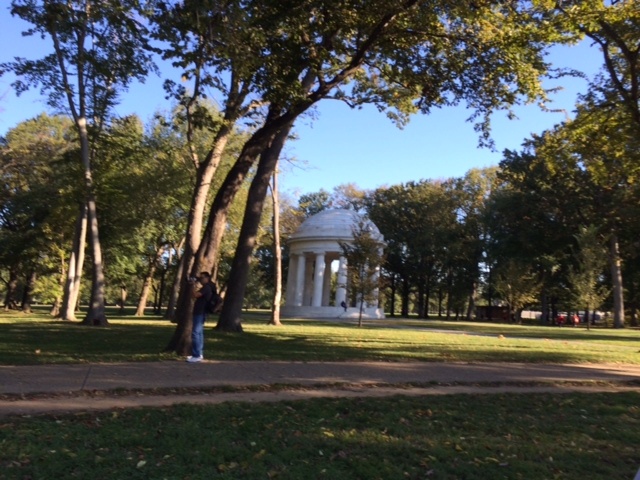 I kind of forgot that I was running in the heart of DC and was thankful I brought my camera to take a lot of pictures. I love DC. The race route was great! And absolutely beautiful. 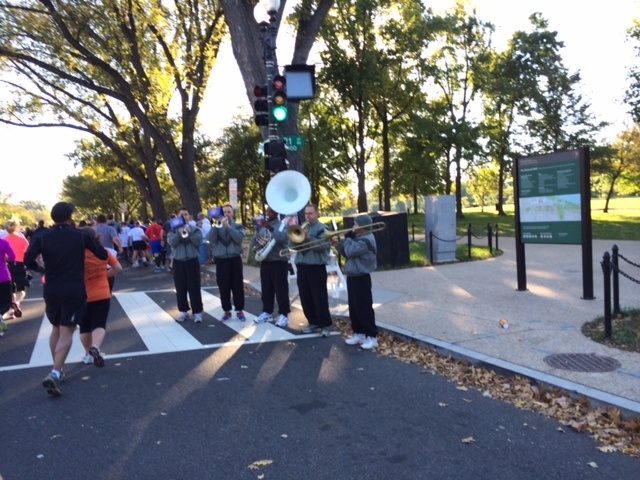 Here’s a band playing patriotic tunes. 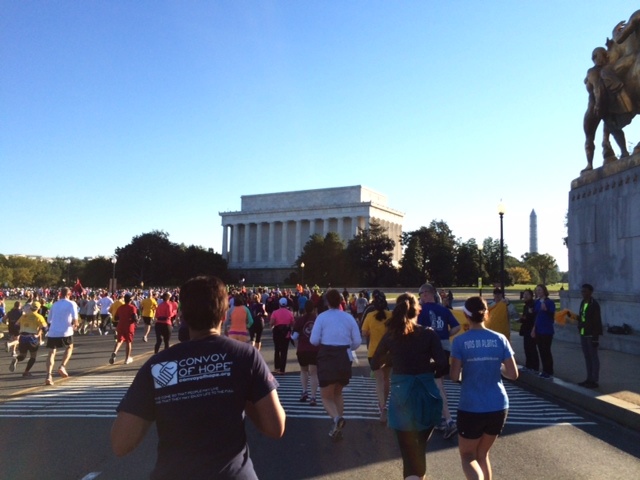 It turns out, running 10 miles in DC is much better than running 26.2 miles in DC. And Lori did such a great job! 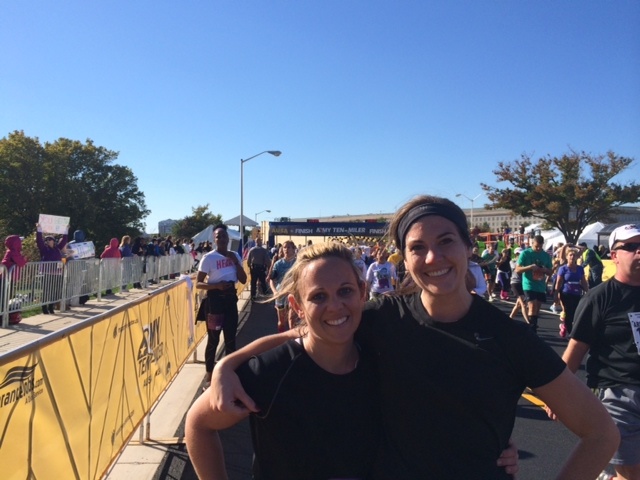 I was so excited to cross the finish line with her! After the race, us Texans met some folks and headed fer HIll Country Barbecue. Ladies and gentleman, I have found my new favorite eating spot. It was a tiny piece of Texas heaven in a very crowded, un-Southern city. They serve Shiner, Texas BBQ, and Blue Bell ice cream. I ate an embarrassing amount of macaroni and cheese and didn’t have enough room for ice cream. I guess there’s always next time. Happy girls with full bellies. 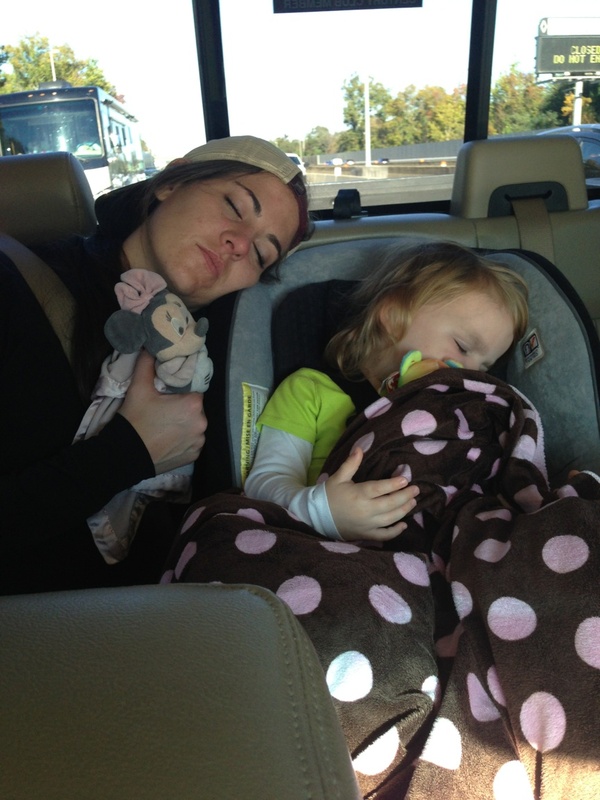 Soon we headed home to watch more football and take a quick nap. I couldn’t wait until we got home…(thanks, Lori). 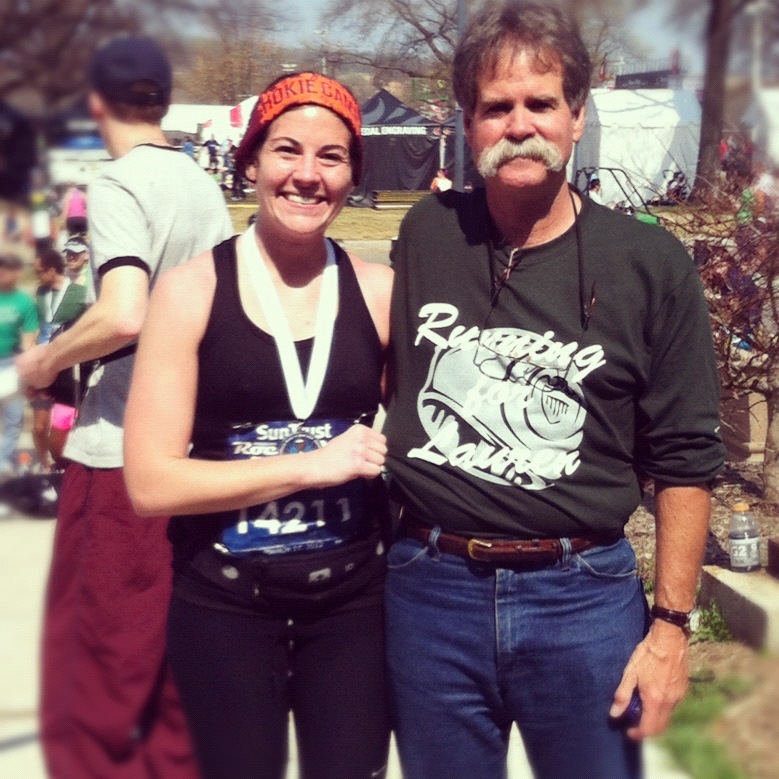 I’ve run three marathons and a bunch of mud races, but have never completed a half-marathon as a race. 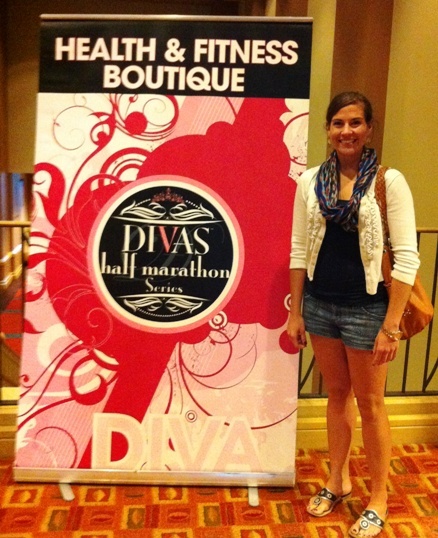 What better way to run my first half than by journeying to DC’s Wine Country to run the Diva Half-Marathon Series? 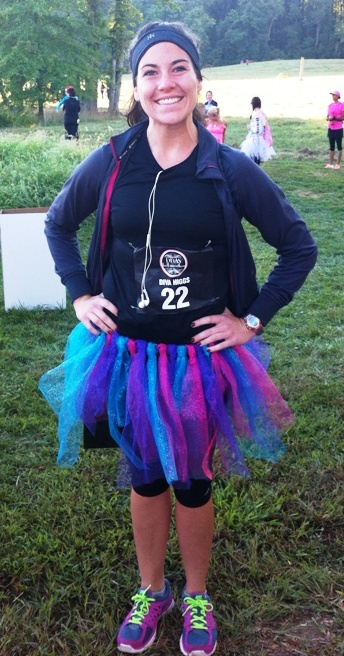 This half marathon involves shamelessly wearing a tutu, receiving a tiara and boa mid-race, and ends with a rose and glass of champagne from a fire fighter. 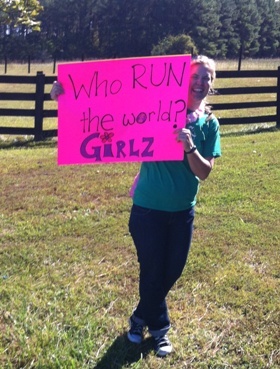 And entirely too much estrogen on a race course. I mean, how many times will you stand in line for a port-a-potty only to hear someone yell, “Anybody got a tampon?!?!? Anyone???? Anyone??? ?” Sheesh. 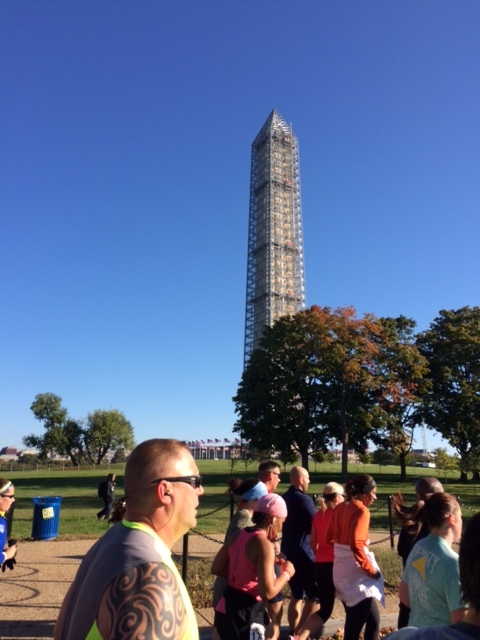 On Friday, Amanda, Lori, and I headed to DC to pick-up my packet and get the party started. 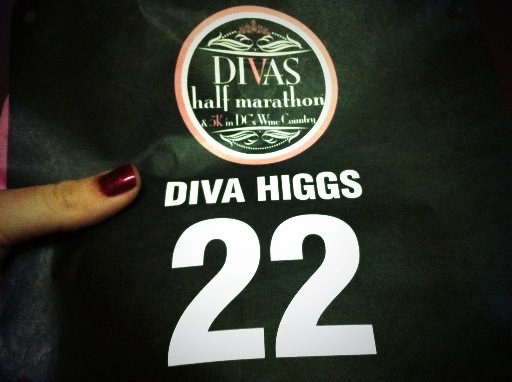 When the volunteer handed me my bib he said, “Ohhhh…you have a black bib. Wow.” I replied with huge eyes, “I’m sorry, what does that mean?” He said, “It means you’re an elite runner. Get it girl.” I still don’t know what that meant, but I took it any way. 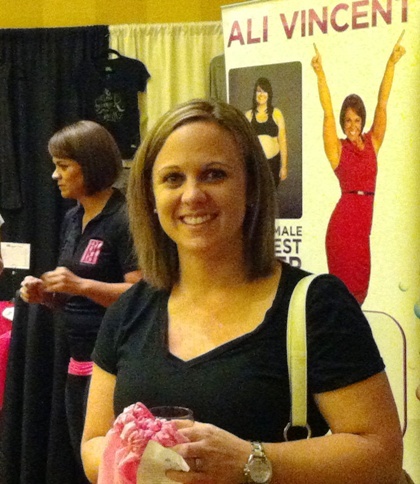 At the Expo we found The Biggest Loser’s Ali Vincent. I had no clue who she was, but she was important enough for Lori to want a pic. However, not important enough to stand in a long line to actually get a pic. We carb-loaded some Italian food for the race. I ate but was easily distracted by the crayons and paper tablecloth. The next morning we woke up early and took off for the race. Good thing we left early because we drove 30 miles in 1.5 hours. The traffic was so awful (due to terrible planning on the race’s part) that the start time was post-poned 1.5 hours. Regardless, I was ready. 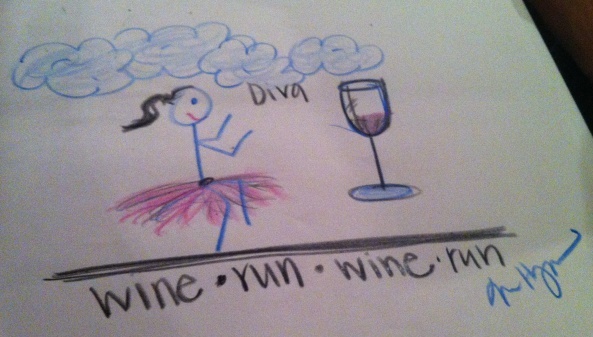 Is that a sparkly tutu? You bet it is. The weather was PERFECT. Sunny and in the 60s. I started off with an 8:30 pace. I felt great. 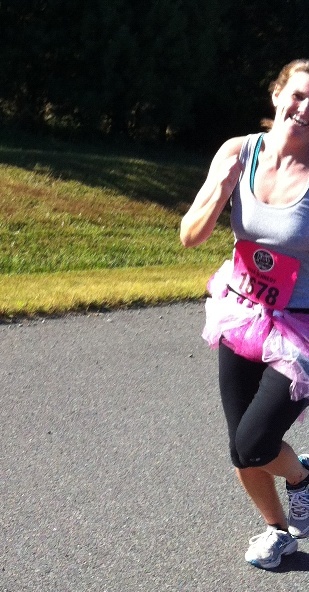 Shockingly, running in a tutu isn’t too bad. However, I used glittery tulle so glitter was literally EVERYWHERE. So much so that I had racers come up and tell me they “loved” my sparkly legs. 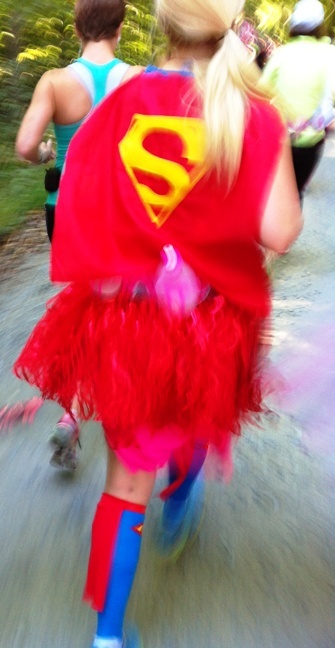 There were some superheros on the route. 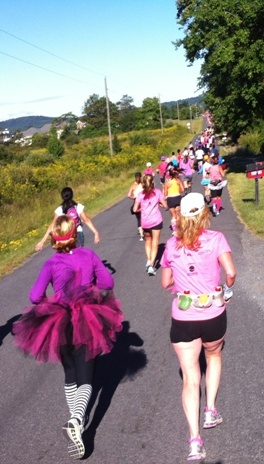 I saw Mary Ellen, one of my students (and my tutu partner). The best part of the race? 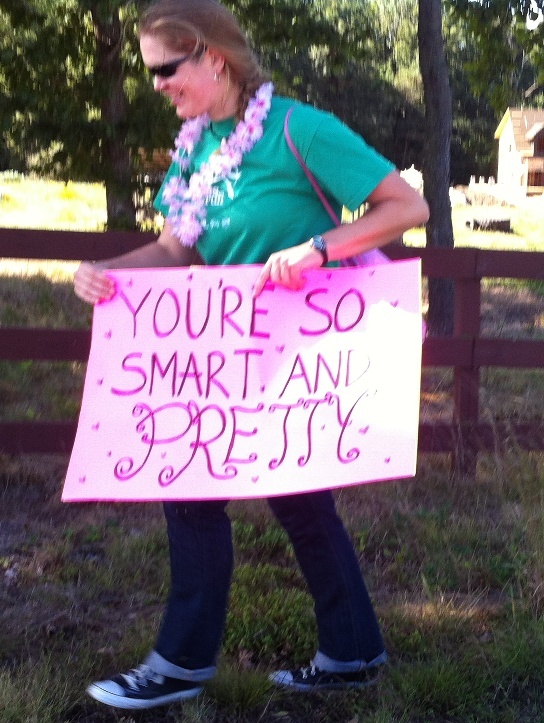 The lovely folks on Green Village Road gave me a beer at mile 10. Thank you, kind sirs, you made the last 3.1 so much easier. I received all my goodies and we were ready for some Aggie Football and food. Mostly cheese fries. Cheese fries and fried pickles. (Don’t judge the lack of make-up in the pic below, please). After the race we headed to our game-watching partyyy. Beat the Hell Outta Bama! 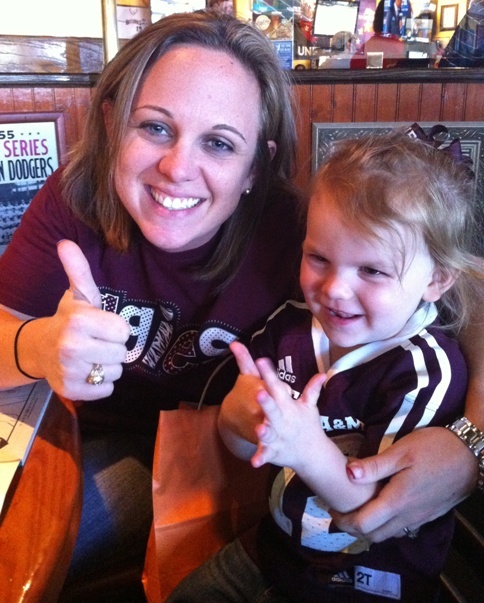 Here’s my favorite Aggie, Class of 2032. Ags didn’t win, but I will chalk it up to being a very successful weekend.